The 529 Plan is an investment plan that allows residents of the United States to save for education costs in the future. The name of these 529 plans comes from the section 529 of the Internal Revenue Code 26. There are many benefits that the 529 plan offers to the investors. One of the primary benefits that an investor realizes from a 529 plan is the 529 tax advantage benefit. The general misconception that most people have towards the 529 plan is that the contributions to the plan can be deducted from the federal taxes. The contributions however do not allow for a 529 tax deduction from the federal income tax liability. However, most of the states allow for the individual to deduct the amount of the contribution from the state income tax liability. Although the contributions cannot be deducted from the federal income tax liability, there are other tax advantages that are offered by the 529 plan rules. 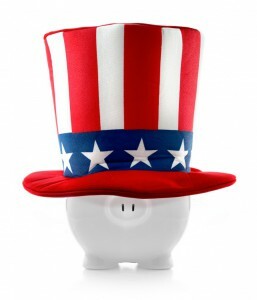 This investment option allows for the individual to enjoy tax deferment. This means that the individual will not have to pay tax on the principal amount which keeps accumulating interest as well. 529 contribution limits are also important aspects of the 529 plan that should not be overlooked. Although contributions that are lesser than $12,000 will not attract any federal taxes, it is to be noted that if the contribution amount exceeds this limit, then the amount will be taxable. Most of the states have total contribution limits beyond which an individual will not be able to contribute. This means that if the principal amount reaches its maximum, then there will not be any scope for future contributions on that account. Withdrawals from the 529 plans are not taxable as well. However, this rule applies only if the withdrawals meet the requirement. The requirement for the withdrawal is that the amount of withdrawal should be used only to cover the ‘eligible’ expenses of education. For this purpose, one must be aware that there is a list of educational establishments that are considered eligible and the rest of the educational establishments are not. The 529 tax deduction benefits that are enjoyed in the 529 plans are similar to the IRA tax deduction and the IRA tax advantages. The primary difference between the two types of plans is that one investment plan helps save for college while the other helps save for retirement. With the IRA plans, one will be entitled to enjoy tax free retirement. The 529 plan is a great way to save up for college education. However, if the amount is not used for the right purposes, instead of enjoying a 529 tax deduction, the plan may attract tax penalties from both the State as well as the Federal government. For example, if the fund that is withdrawn is used to make payments for other purposes than those specified, the individual will have to pay income taxes on the amount as well as a federal penalty tax of about 10 percent of the amount.